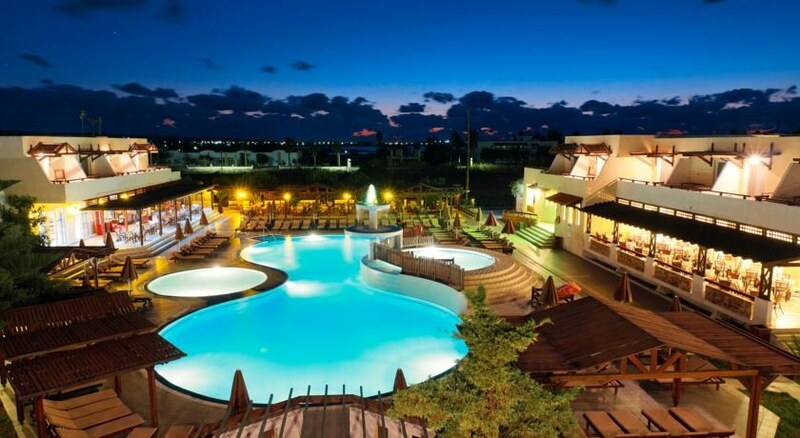 If you’re looking for an all-inclusive hotel in Kos Island, something a little distant from the main town, Gaia Village Hotel might fir your bill. Though a little secluded, there are few restaurants and shops around the hotel—its main USP is the proximity to the beach. It’s mostly visited by couples, families, group travellers and even solo travellers looking for a relaxed seaside retreat. Divided into standard and superior, accommodations in Gaia Village Hotel are classified into double rooms and family rooms with one or two bedrooms. It features 255 guestrooms in total and you can select rooms between double bed and twin beds—approach the front desk for extra bed and crib. You will find each individual room with air conditioning, TV with satellite, telephone, hairdryer, en suite with bath amenities, WiFi internet, sofa bed/ couch, safe deposit box and balcony or terrace. Rooms are fairly simple in terms of décor and interior but they are spacious and modern. Red is the theme colour across the rooms, thus offers a rich vibe. Housekeeping and fresh linens and towels are available daily and the views from the rooms are indeed beautiful. The main restaurant offers both indoor and outdoor seating areas and serves rich breakfast, lunch and dinner in buffet style. Breakfast is usually continental in style with plenty of selections. And at lunch and dinner, you can anticipate something flavorous and scores of local and international items. Alcoholic drinks are served at lunch and dinner to compliment the flavours. In addition, the main bar not only serves cocktails and mocktails and alcoholic and non-alcoholic drinks, but also snacks, light meals and ice cream. And during day time, head to the pool bar where you can get your favourite drinks to help you relax while you soak and bask. There are two fresh water swimming pools with a paddle pool in the adjoining. Loungers and parasols are complimentary—approach the front desk for lilos and beach towels. Food and drinks are served around the pools and you can play games such as water polo, water volleyball and water gymnasium. Table tennis, billiards, foosball, air hockey, darts, mini football, basketball and electronic games are a fancy among many guests. And in case you're a fitness conscious traveller, there is a fitness centre. There are two playgrounds for kids and they come with swings, slides, sea-saws and more. A mini market is housed by the hotel and you'll get most daily basic necessities there. 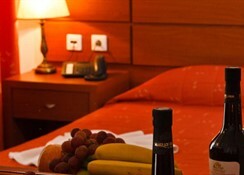 And in the evenings, the hotel organises various lively events and programmes catering to guests of all ages. Located about 300 metres away from the vast sandy beach (10 km long), Gaia Village Hotel is a family-oriented destination. Built within a lush green landscaped garden, it offers three-star facilities and services to travellers looking for a relaxed seaside holiday. 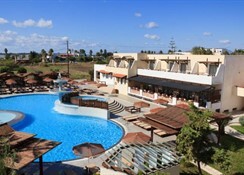 There are few restaurants and shops around the hotel but for more options you’ll have to travel to Kos Town which is about 10 km from the complex. Zipari about 3.5 km from the hotel is a small village and there are some shops too. This is a paradise for water sports lovers and you can try snorkelling, scuba diving, wind surfing, kite surfing and other motorised and non-motorised sports. Kos Island International Airport is 15 km and distance to the harbour is Kos town is roughly 12 km. Pets	Pets are allowed on request. Charges may apply.